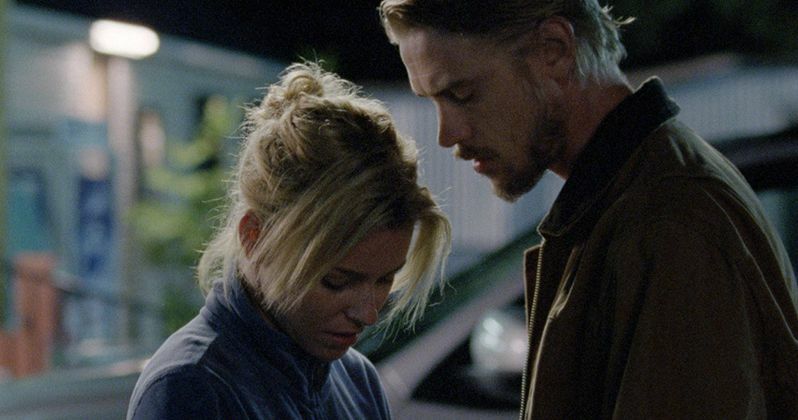 Amplify announced today that it has acquired all U.S. rights to Sara Colangelo's acclaimed Sundance drama, Little Accidents. Inspired by Colangelo's 2010 short of the same name (also a Sundance alum), Little Accidents tells the story of a small coal town reeling from a recent mining disaster; when tragedy strikes again, its inhabitants' buried secrets begin to spill out, threatening to unravel the delicate threads that hold the community together. The film's ensemble cast includes Boyd Holbrook (Hatfields & McCoys, Gone Girl), Elizabeth Banks (The Hunger Games, Pitch Perfect), Jacob Lofland (Mud), Josh Lucas (The Lincoln Lawyer), and Chloë Sevigny (Boys Don't Cry), Little Accidents delivers big for audiences looking for a smart, emotional, and intelligent film that pulls no punches. Here's what Amplify's Logan Mulvey had to say about the project in a statement. "Sara has made a film of true authenticity and accomplishment. We couldn't be more thrilled to share this film with audiences around the country." Sara Colangelo had this to say in her statement. "We're incredibly excited to have a home for Little Accidents at Amplify, and thrilled to be working creatively with them to bring our film to a wide U.S. audience." Little Accidents is a production of Maiden Voyage Pictures, Archer Gray Productions, TideRock Media, Soaring Flight Productions, and Mindsmack Productions. The film was written and directed by Sara Colangelo, produced by Anne Carey, Jason Michael Berman, Thomas B. Fore, and Summer Shelton, and was executive produced by Chris Columbus, Amy Nauiokas, Eleanor Columbus, Ruth Mutch, Richard Loughran, Kwesi Collisson, Mike Feuer, and Todd Feuer.